New vehicle pricing includes all offers and incentives. Tax, Title and Tags not included in vehicle prices shown and must be paid by the purchaser. While great effort is made to ensure the accuracy of the information on this site, errors do occur so please verify information with a customer service rep. This is easily done by calling us at (207) 872-5444 or by visiting us at the dealership. 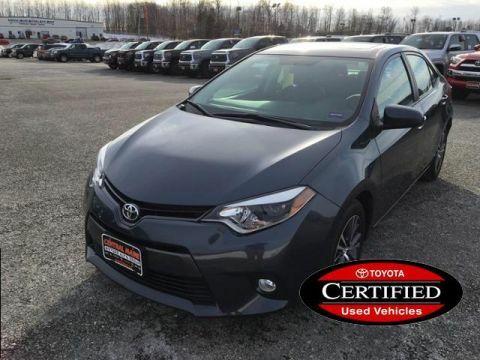 PRICED TO MOVE $600 below NADA Retail!, FUEL EFFICIENT 36 MPG Hwy/28 MPG City! Toyota Certified, Running Great, ONLY 13,503 Miles! LE trim. CD Player, Lane Keeping Assist, Bluetooth, Back-Up Camera, iPod/MP3 Input. CLICK ME! This Corolla is priced $600 below NADA Retail. Back-Up Camera, iPod/MP3 Input, Bluetooth, CD Player, Lane Keeping Assist. MP3 Player, Remote Trunk Release, Keyless Entry, Child Safety Locks, Steering Wheel Controls. Toyota LE with Black Sand Pearl exterior and Black interior features a 4 Cylinder Engine with 132 HP at 6000 RPM*. Autocheck 1-Owner, Clean Autocheck report! 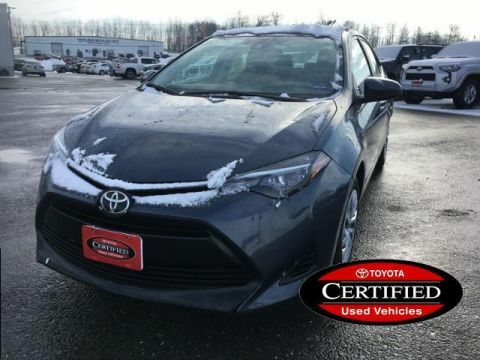 Edmunds.com's review says Slipping in and out of the Corolla's cabin is easy, and once you're in, there's ample room to stretch out. There's decent headroom in back and 41.4 inches of legroom, which obliterates everything in the compact segment and embarasses many midsize cars.. Great Gas Mileage: 36 MPG Hwy. 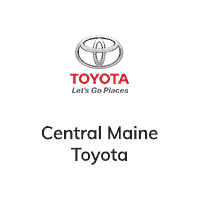 At Central Maine Toyota, we specialize in vehicles that will delight you in the short term and support you in the long term. 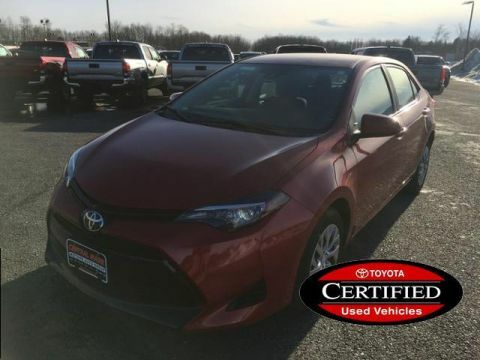 Toyota vehicles are known for their reliability and well-rounded quality, and we have plenty of beautiful models for you to choose from. Buy a Toyota Corolla sedan for your quick jaunts around the city, or hook yourself up with a powerful Toyota Tundra pickup truck for your heavy-duty jobs. You could even finance a Toyota Highlander SUV and transport your friends across both off-road trails and busy suburban streets in style. 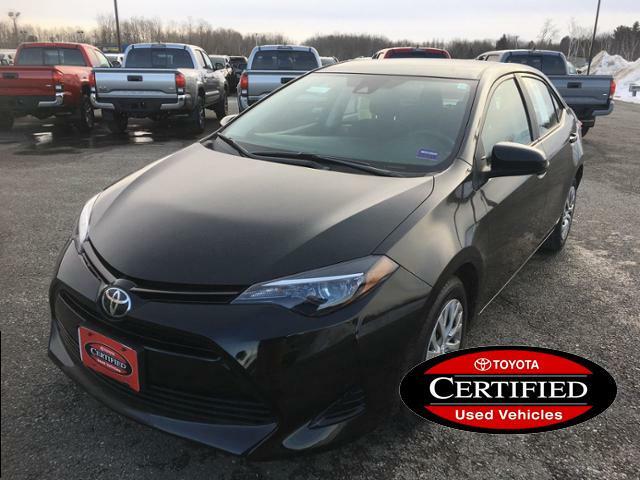 We have all sorts of cars, trucks, SUVs and minivans available, and the Toyota finance team can help set you up with the vehicle you need in a way that makes sense for your lifestyle. You won’t need auto service for long at our Toyota dealership near Skowhegan. We provide skillful Toyota service to our guests from Bangor, Augusta, Portland and greater Maine, all at competitive prices. You can trust us for routine maintenance and full-on auto repairs alike. We can also provide you with all the Toyota parts you need. Just browse our OEM Toyota parts and accessories inventory! You should find exactly what you need, and if you don’t, it’s a simple matter to order what we don’t have in stock and receive a notification when it arrives.